There’s nothing worse than feeling stuck when it comes to decorating your home because creating a home that feels really good to you and your family is one of the best gifts you can give them. A beautiful home inspires more fun, more family time, more relaxation, and more calm, which in today’s world are all things we need more of –– don’t you think? But how do you achieve the look and feel you want without getting totally overwhelmed? That’s where I come in. I love to break down decorating concepts into simple steps that anyone can follow, because a home you’re proud of shouldn’t be reserved only for those with a natural eye for decor. 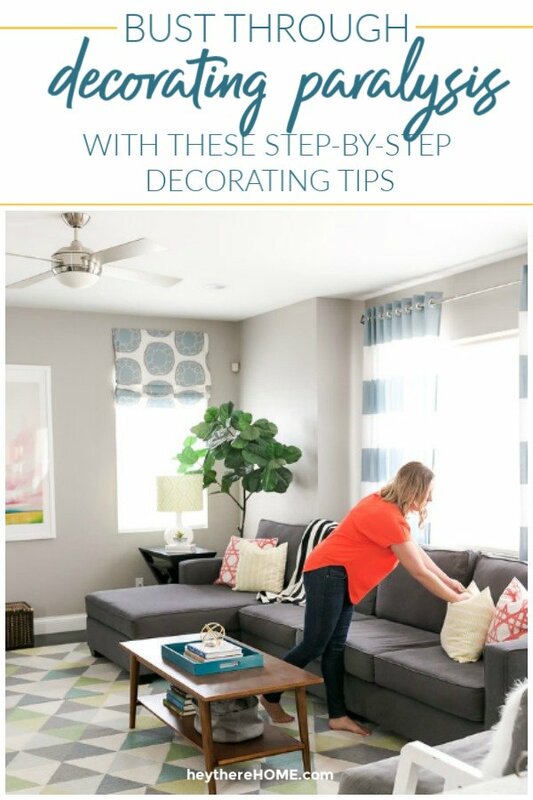 On this page you’ll find my best decorating tips and tutorials to get you started so you can start decorating with confidence! I also created a free on-demand video workshop that will teach you 3 easy ways to get a cohesive look! **for a complete list of How To Decorate Articles click here. **to browse all of our DIY Project Tutorials click here. Come see how we’ve transformed our suburban tract home on our home tour page here.